In response to the EU Elections, the EU Commission has realized that austerity is going to create massive civil unrest and dissatisfaction with the federalization of Europe. The EU Commission has terminated the sanctions against six EU countries due to excessive deficits. For example, Austria was forced to abandon the entire Maastricht criteria after Hypo bankruptcy. 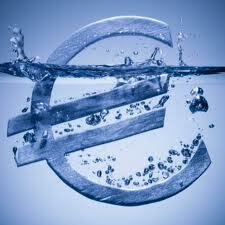 The European Commission is now moving to end to sanctions for lack of fiscal consolidation against six EU countries. These so-called excessive deficit sanctions against Austria, Belgium, Denmark, the Netherlands, Slovakia and the Czech Republic will be adjusted. The Commission recognized, moreover, that Poland and Croatia are striving to reduce their budget deficits and bring their finances in order. Under EU rules, the debt of a country may be no more than 3% of the economy. However, due to the sovereign debt crisis, many countries have exceeded this limit.